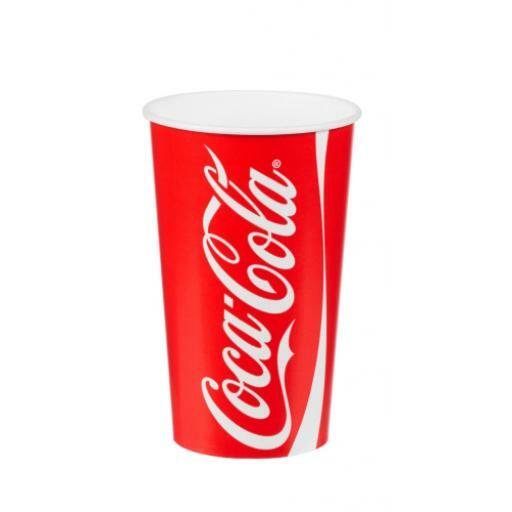 Coke / Coca Cola Paper Cups 16oz Manufactured from premium food grade cup stock, double poly-coated, Classic Coca Cola paper cups for cold drinks.Coke Paper Cold Cup features the classic and colourful Coca Cola design with eye catching glossy finish. 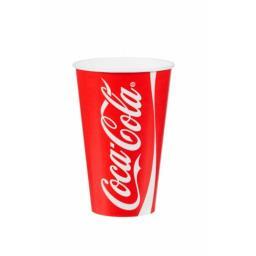 The interior and exterior are coated with a polyethylene plastic film which keeps the liquid inside the cups and protects it from weakening. 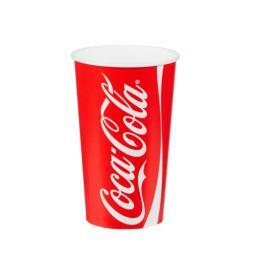 High Quality and Made with food grade materials, with large capacity for adding plenty of ice.